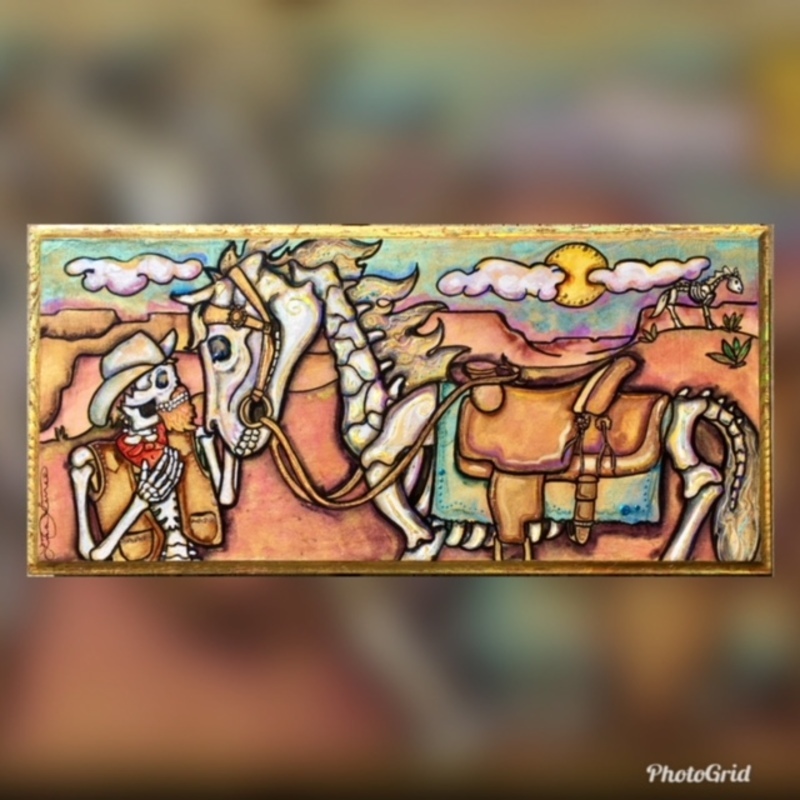 “Cowboy Dreams” - this little piece was painted on a repurposed cabinet front. Who doesn’t dream of riding the open range on their bony horse? !